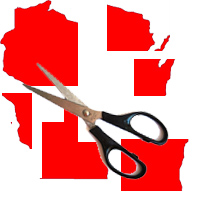 As of the end of September, 60 candidates on the November 4th ballot for state legislative or statewide office have pledged support for non-partisan redistricting reform based on the "Iowa Plan" to be in effect for Wisconsin's next redistricting process in 2021. These are candidates who have pro-actively contacted CC/WI. Are the candidates you support for the Wisconsin Assembly, State Senate or for statewide office (Governor, Lt. Governor, Attorney General, Secretary of State, Treasurer) on this list? If not, you should contact them and urge them to add their name to the list. And if they refuse to do so you should ask them why? And let us know! An unprecedented 19 daily newspaper editorial boards support this common sense, non-partisan political reform. So does the overwhelming majority of Wisconsinites. 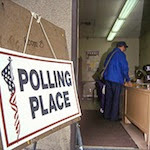 Voters ought to select their elected representatives, not the other way around – as is currently the case in Wisconsin. Only about ten percent of the 99 Assembly Districts and 17 State Senate Districts are even remotely competitive this year. And not a single congressional district of Wisconsin's eight is considered truly competitive at least "on paper" in 2014. That's just pathetic. You can do your part to end partisan gerrymandering in Wisconsin by contacting candidates running in your area for the Assembly and State Senate (and all statewide candidates) and urging them to support non-partisan redistricting reform (the Iowa Plan). Then tell them to contact us. Candidates or their authorized campaign proxies can contact CC/WI by phone: 608/256-2686 (leave a message if no answer) or by email. But they better hurry. Only five weeks to go until Election Day. 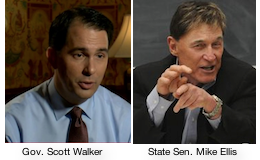 (MADISON) – The leaders of two state government watchdog groups sent a letter to Wisconsin Attorney JB Van Hollen today, calling on him to investigate felony violations of Wisconsin election law that appear to have been committed by the Wisconsin Poll Watchers Militia, a self-described militia group who announced they plan to “confront” voters at the polls who signed a petition to recall Governor Scott Walker in 2012 and who may have outstanding violations of the law on their records. The plans of the militia were revealed on their website and in a recent news account about their proposed Election Day intimidation activities. 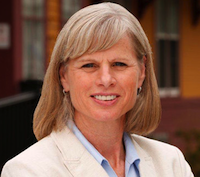 Andrea Kaminski of the League of Women Voters of Wisconsin and Jay Heck of Common Cause in Wisconsin call upon Van Hollen to work with District Attorneys in the counties where the intimidation activities are planned (Milwaukee, Racine and Rock) as well as the two U.S. Attorneys for Wisconsin to determine if criminal charges should be filed. The letter to Attorney General Van Hollen is here. What You Need to Know About the Reinstated Wisconsin Voter Photo ID Law So You Can Vote! The unexpected and completely unprecedented order by the three judge panel of the U.S. Court of Appeals for the 7th Circuit in Chicago to reinstate Wisconsin's extreme and restrictive photo voter ID law on September 12th for the November 4th election has caused widespread chaos and confusion for Wisconsin voters in the forty two days before Election Day. The failure of the Walker Administration and the Republican majority in the Legislature to commit any additional resources to inform Wisconsin voters about the significant changes right before an election is unconscionable. Proponents of this burdensome, unnecessary and obviously partisan measure should have at least had the decency to make the additional resources necessary for the Wisconsin Government Accountability and the State Department of Transportation through their Department of Motor Vehicles – the state government agencies charged with implementing the voter photo ID law – to reach out and inform every citizen of Wisconsin about what they need to do in order to be able to cast a ballot on or before November 4th. But no such urgent initiative has been forthcoming – an indication that those in control of state government are more interested in benefiting in a partisan manner than in ensuring that as many Wisconsinites who have been able to vote in the past, can do so this November. CC/WI Director Jay Heck discussed this issue on statewide Wisconsin Public Radio on Monday. It falls to organizations such as CC/WI to get the word out to as many citizens as we can in advance of November 4th so that as many Wisconsinites as possible will not be shocked at the polls when they learn that they cannot vote as they have before and are required to show one of a narrow array of identification in order to exercise their most basic and fundamental right as a Wisconsinite and as an American. We have created a simple flyer that you can download and print out to tell you what you need to know about the now-in-place Wisconsin photo voter ID law so that your vote can be cast and counted on Election Day. We encourage you to forward this e-mail to everyone you know and/or print out the flyers for distribution. Do not allow this unexpected and undemocratic law to prevent your vote from being counted on Election Day. 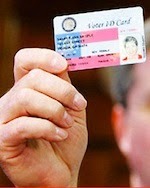 Get the proper ID for yourself and everyone you know who lacks it, now. Don't agonize about this law. Instead, organize and help others to get what they need to vote. A federal appeals court decision reinstating Wisconsin’s Voter ID law places an unneeded and unjustified obstacle in the path of thousands of Badger State voters, Common Cause said Friday. “This is a terrible, undemocratic ruling,” said Common Cause President Miles Rapoport. “The Voter ID requirements imposed by the state law fall most heavily on senior citizens, the young, and people of color, many of whom already are less likely than the general public to register and vote. If an Eligible Voter is Denied a Ballot at the Polls and No One Sees it, Did it Happen? 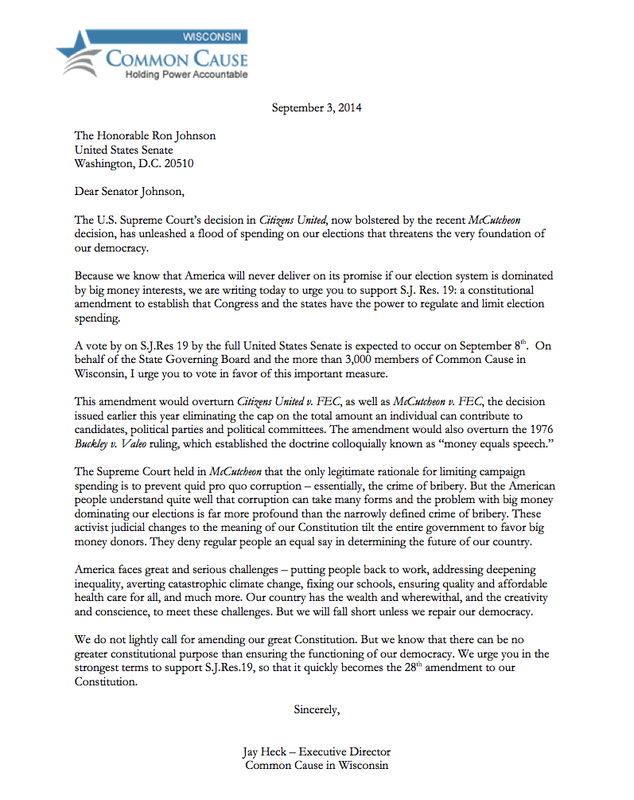 Are you concerned about the integrity of Wisconsin’s elections? Maybe you'd like to do something to help ensure that no eligible Wisconsin voter is denied the right to cast a ballot on November 4th? Something relatively easy and rewarding? Our friends at the League of Women Voters of Wisconsin are providing folks across the state with a way to help: they are looking for volunteers to serve as the League's eyes and ears at the polls during the November 4th election, watching for and reporting any signs of voters being disenfranchised. You don't need to be a League member to volunteer. The League provides online training, a reporting form, a polling place assignment and numbers to call on Election Day if you have a question or need to report a problem. Just sign up on their 2014 Election Observer Volunteer Form and the League will get back to you about where you are needed and times for online training. Whether you can spend all day or just a few hours at a polling place, you can sign on to be an election observer. Please take a moment and make this commitment to help – and tell your friends about this important opportunity to make a difference. Many volunteers are needed! Jay Heck - Executive Director for Common Cause Wisconsin on the "Wisconsin Poll Watcher Militia"
Is Poll-Watching ‘Militia’ Real or a Hoax? And Does It Matter?